Although winter didn’t officially begin until December 21, Kent, WA residents have already experienced many different types of winter precipitation. While the occasional snow makes Kent landscapes postcard-pretty, it can definitely wreak havoc on residential roofing systems. Naomi Millen of Facilities.net explains how ice and snow damage roofs. Water in general is a trouble-maker for roofs, especially when the temperatures dip below freezing. Significant ice build up in one area of the roof could cause load issues or could damage or stress local components, like roof flashings and tie-ins to roof accessories, says Laux. Due to a roof’s configuration, there could be places where snow could accumulate in abnormal levels. If a foot of snow falls, there easily could be places on the roof where there are five feet of snow, just because of the way snow tends to blow and accumulate, says Hoff. Areas where the roof adjoins a solid wall, or where there is a lower roof such as awnings or canopies, are especially susceptible to accumulation. Hoff says canopies over truck docks tend to be especially vulnerable to loads from snow. In the face of storm threats in Washington, locals can buy hurricane-proof or storm-proof windows that can resist the storm’s impact. Unfortunately, it’s not the same during winter and snow begins to fall because there is no such thing as a snow-proof roof. While homeowners may have to accept the fact that problems are likely to develop in their roofs once winter arrives, they actually have a roofing option that can better stand up to snow and ice courtesy of a Kent roofing contractor: metal roofs. According to Buildings.com, the construction of metal roofs in cold climates like Kent, WA includes special considerations such as heavy snow loads, snow melt, snow retention, snow shed, and icing or ice damming (when snow melts on the roof and then the water runs to the cold eave edge and freezes again). With these things taken into account, metal roofing in Kent, WA is a better performer during the winter season than traditional roofing types like asphalt shingle roofs or wood shake roofs. 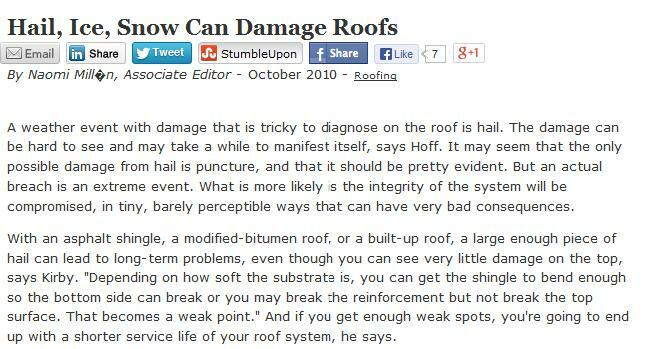 With the upcoming we days, residents in cold climates do have to worry about how their roofs will survive. Working with reliable roofers like the ones from Tedrick’s Roofing, which also serves Auburn and Seattle, to have a metal roof is their best bet to survive the winter admirably.